Home is where life happens. It’s a place to come back to at the end of the day, a place to be yourself. Home is where lasting memories are made. We believe building a new home should be a dream come true, but know making that dream a reality can seem overwhelming. 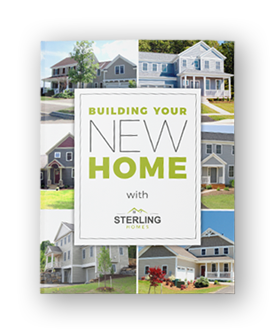 At Sterling Homes, your vision, your ideas, and your dreams combine with our three decades of home building experience to bring your new home to life. Start the conversation by sharing your ideas with us; you’re closer than you think to a home you love. Create a home with all of your wants, wishes and needs—all on your budget. From the moment we walked through the door, the quality and craftsmanship were obvious. Care had been taken to assure that every aspect of construction had been thoughtfully planned and executed. Having downsized after nearly 4 decades in our previous home, this has proven to be the perfect place to live.